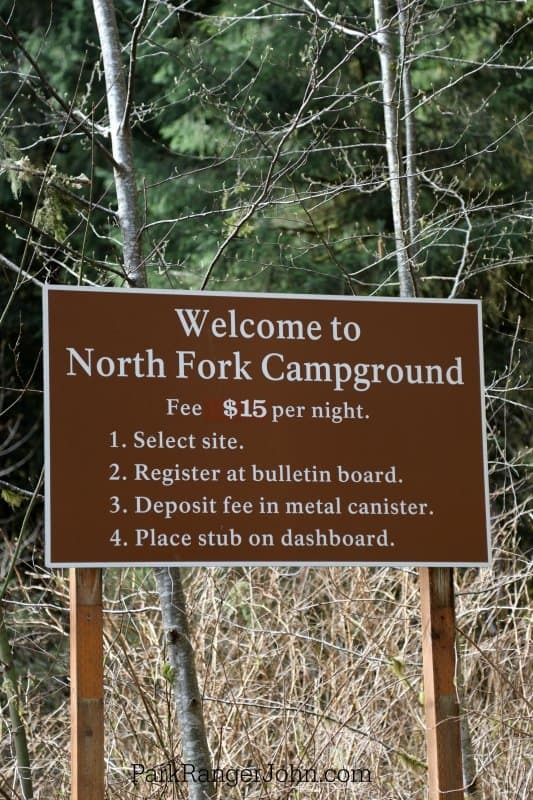 The North Fork Campground is the smallest campground in Olympic National Park. What it lacks in size it makes up for in views. 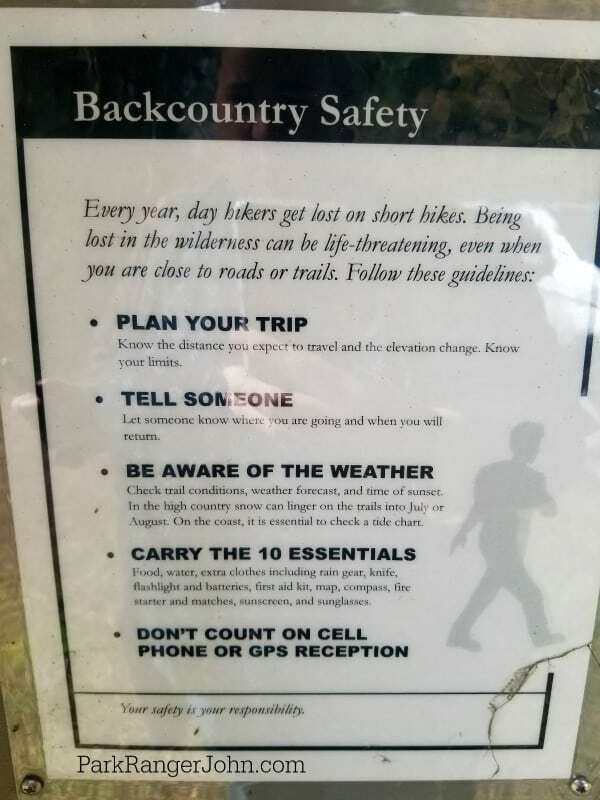 You are literally surrounded by trees! 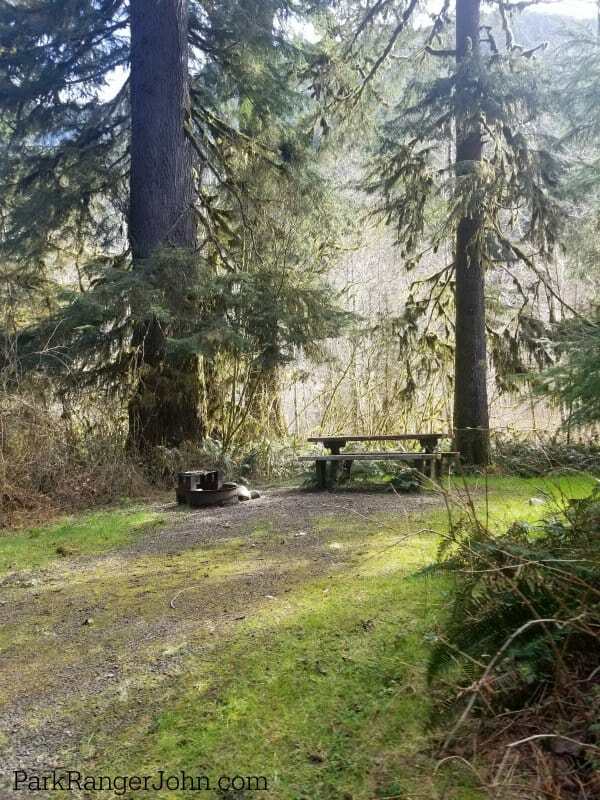 This primitive campground does not have water or electricity so you will need to plan ahead for your visit. 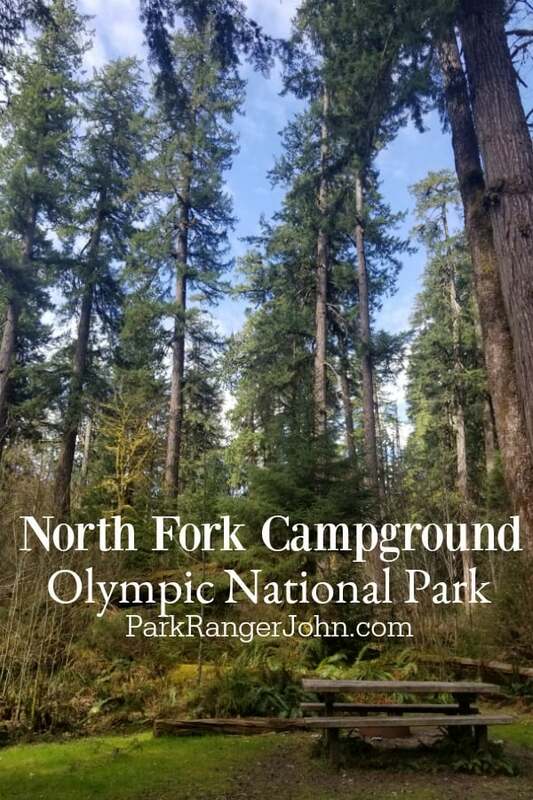 This is a campground you can truly get away from the crowds and enjoy the beauty of Olympic National Park. 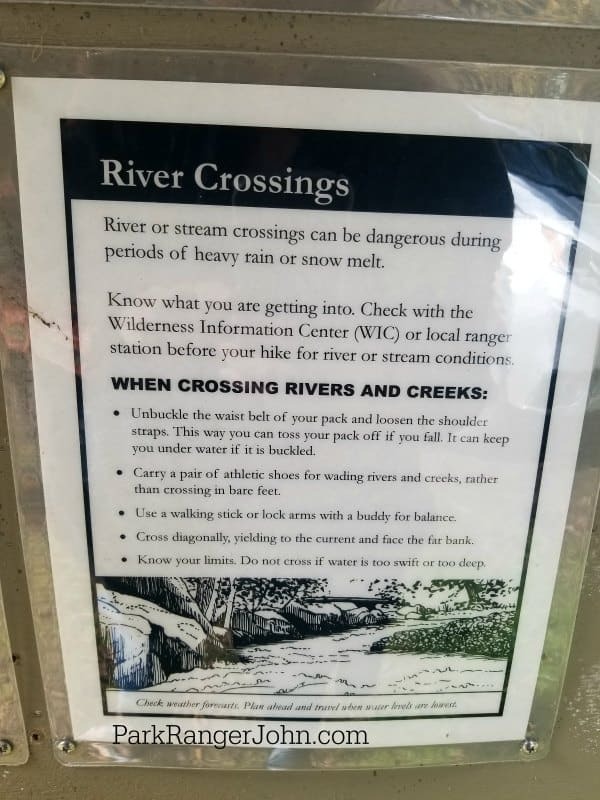 There are multiple hiking trails accessible from the campground. 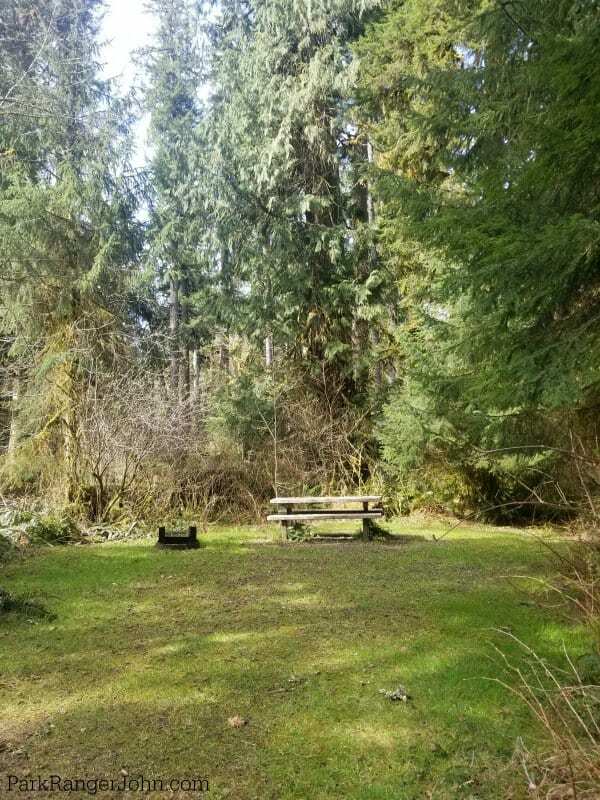 The campground is only accessible from a dirt road that is not suitable for RV’s or Trailers. We did not have any issues on the dirt road in our SUV. There were no huge ruts or issues on the road. 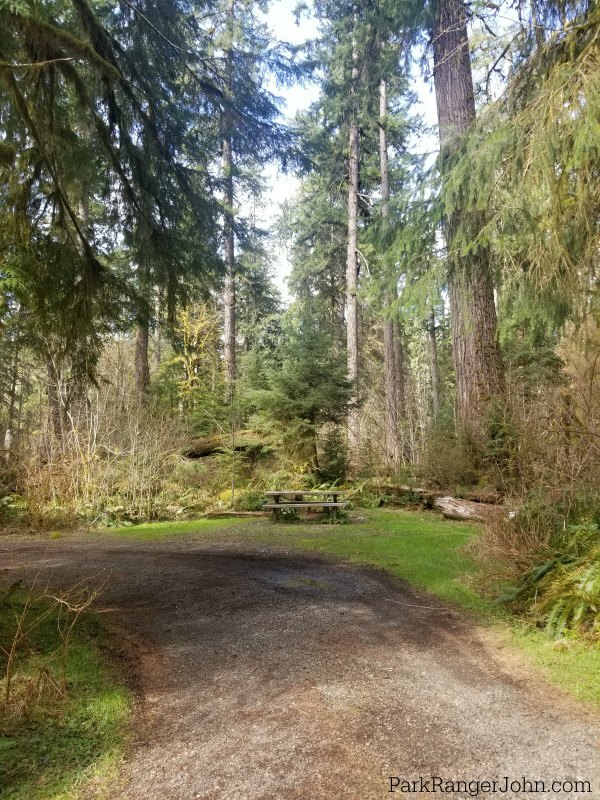 The road into the campground can be damaged during the winter including trees covering the road. You can call 360-565-3131 for current road conditions. 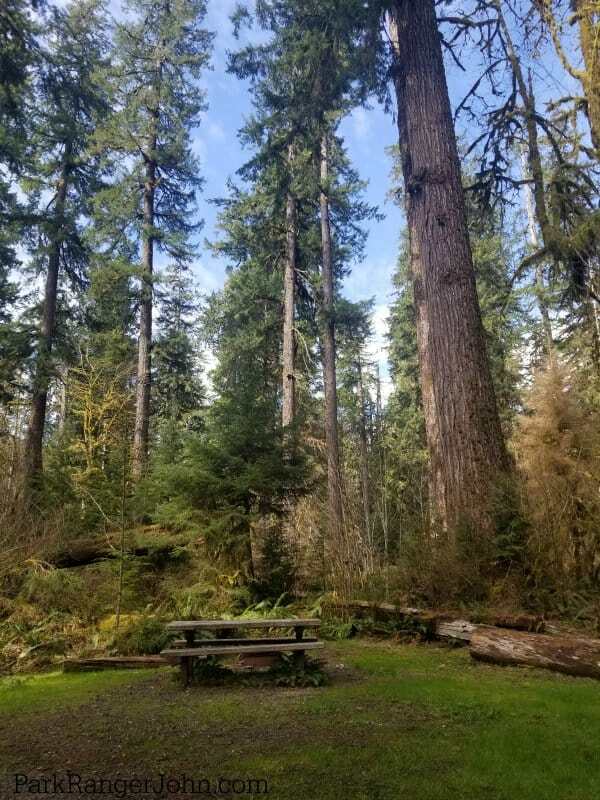 Location in the park: Located on the North Fork of the Quinault River near Lake Quinault. 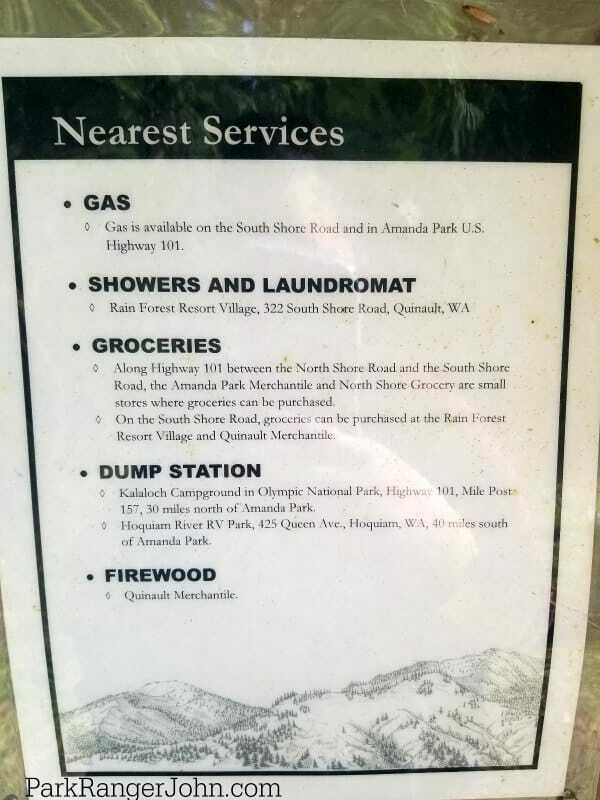 The Quinault Rain Forest Ranger Station is just down the road from the campground. 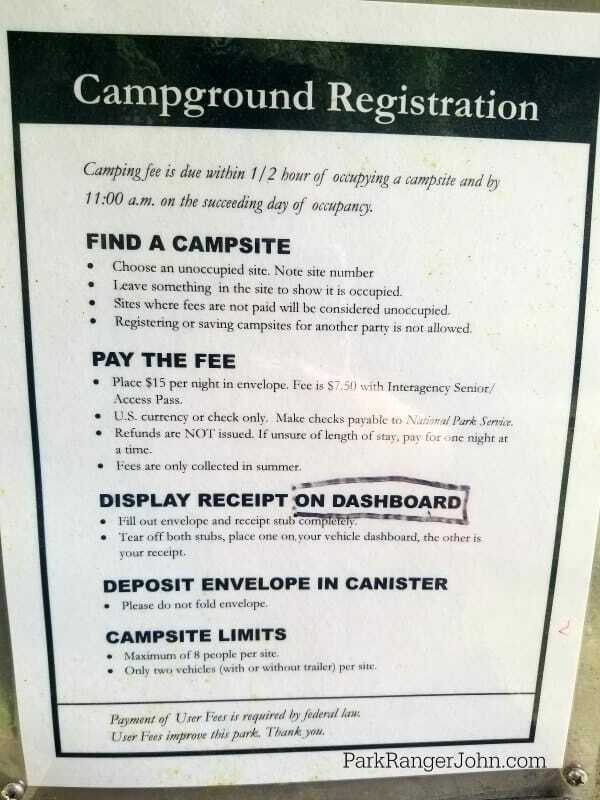 Accessible Sites: There are no paved sites in the campground. Is firewood available for purchase? 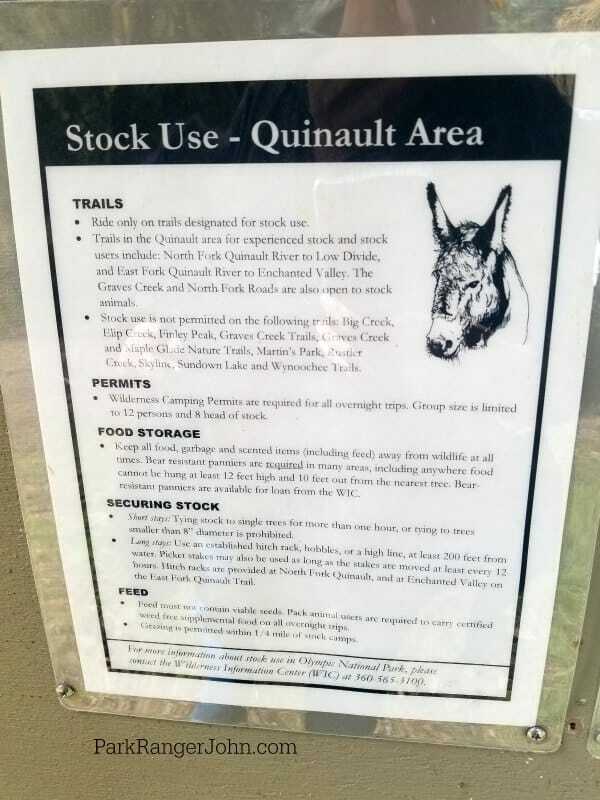 Bear Box in site/area? Yes, communal boxes. 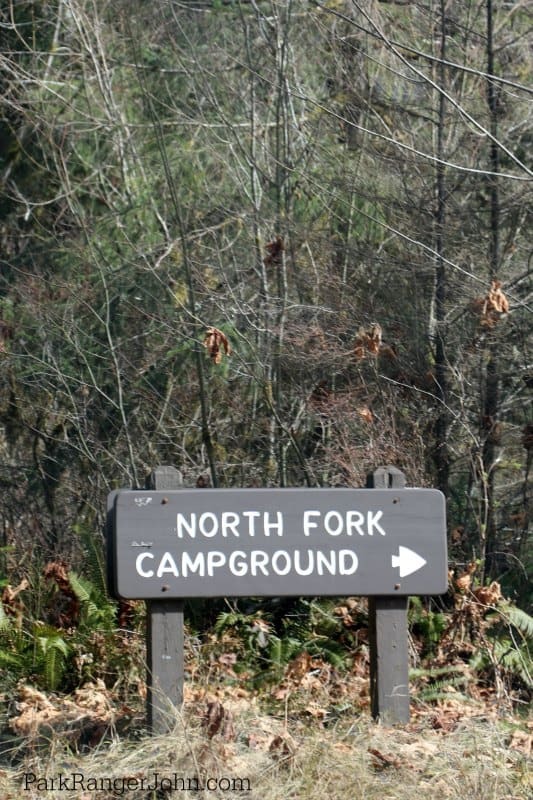 The North Fork Campground is located off of North Shore Rd. 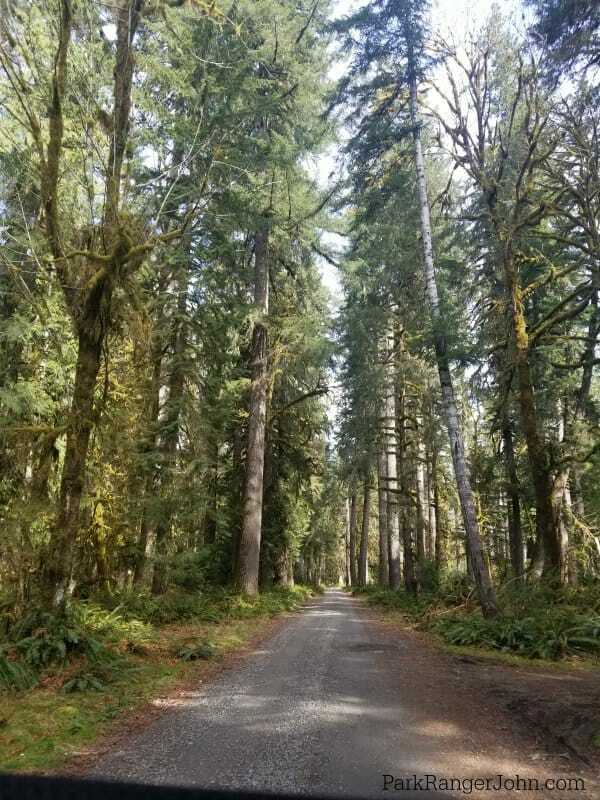 This road runs along Lake Quinault and the Quinault River. Maple Glade Trail: This .5 flat loop trail is hard packed and travels through a mossy big leaf maple grove. 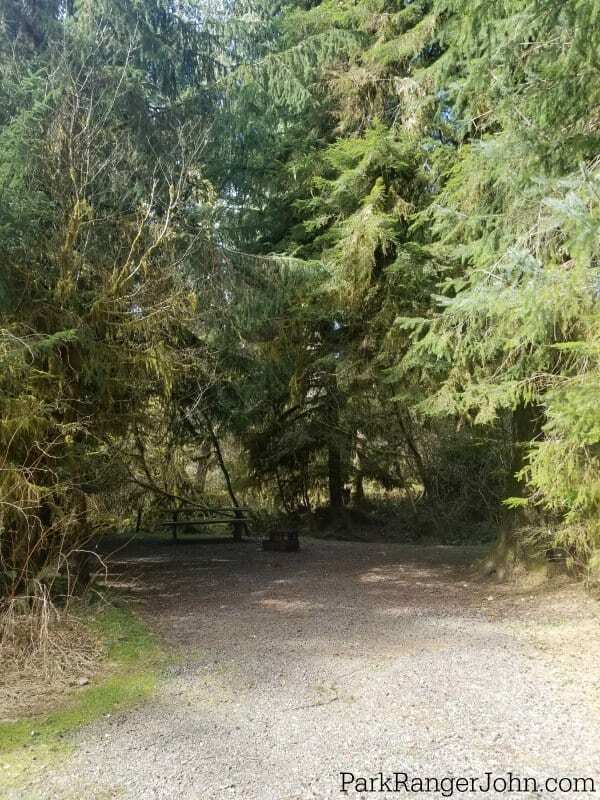 The trail begins across the bridge from the Quinault Ranger Station. Kestner Homestead: You can learn about homestead life on the Kestner Homestead Trail. 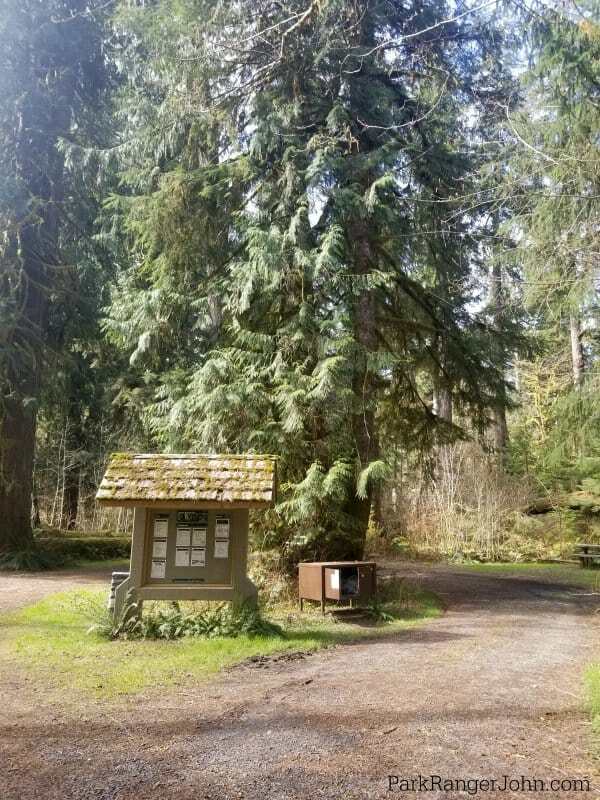 The 1.3-mile loop starts at the Quinault Ranger Station. 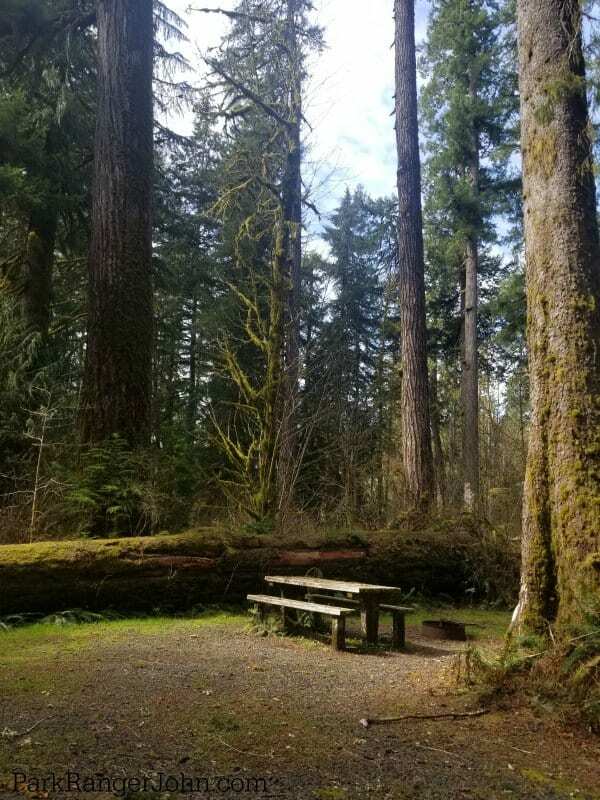 Cascading Terraces Trail: This flat half-mile trail takes you through the forest to Graves Creek. 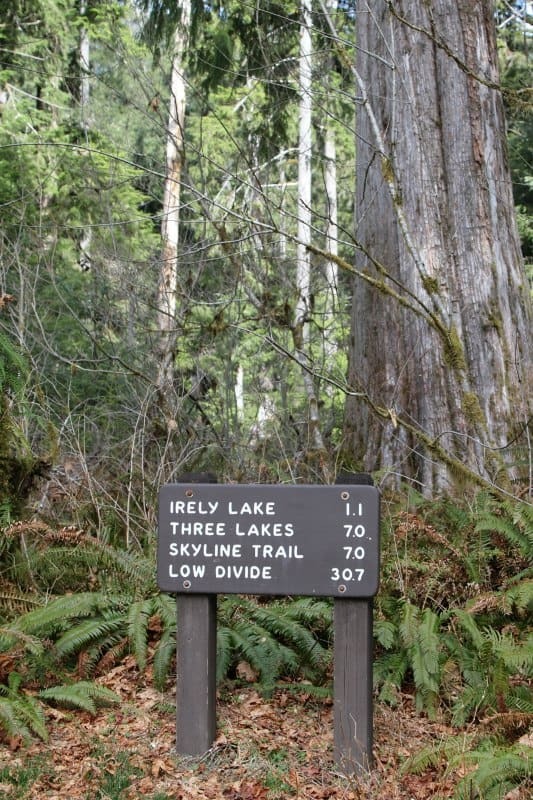 Irely Lake Trail: This 1.1-mile trail climbs 100 feet to shallow Irely Lake. 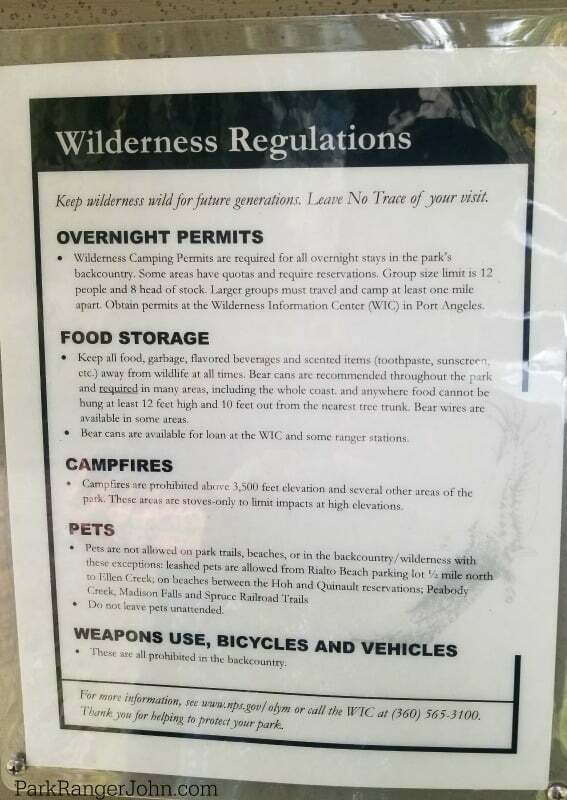 The trail begins a quarter mile before the campground entrance.